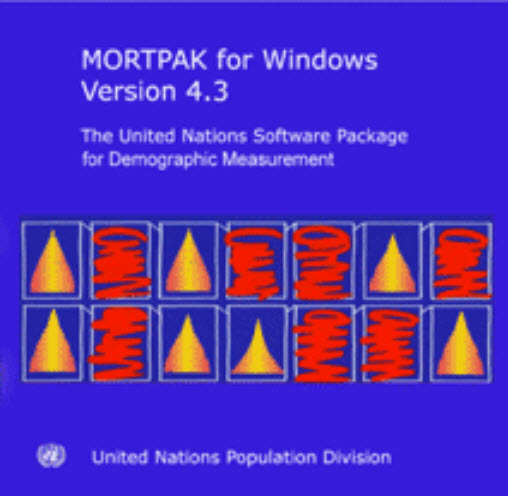 The present volume contains the working manual for MORTPAK for Windows, the United Nations software package for demographic measurement in developing countries. The MORTPAK software packages for demographic measurement have had widespread use throughout research institutions in developing and developed countries since their introduction in 1988. Version 4.0 of MORTPAK included 17 applications in the areas of population projection, life-table and stable-population construction, graduation of mortality data, indirect mortality estimation, indirect fertility estimation, and other indirect procedures for evaluating age distributions and the completeness of censuses. Version 4.3 of MORTPAK enhanced many of the original applications and added 3 more to bring the total to 20 applications. The package incorporates techniques that take advantage of the United Nations model life tables and generalized stable population equations. The package, as presented here, has been constructed with worksheet-style, full screen data entry which takes advantage of the interactive microcomputer environment and reduces dependence on a manual. The Population Division of the Department of Economic and Social Affairs of the United Nations Secretariat has long conducted demographic estimation and projection activities at the country level, incorporating methodological advances in the construction of model life tables, for example. As a by-product of these activities, this extensive body of computer software has been developed. MORTPAK has already been well tested and is now widely used for analysis of developing country data and in developing country institutions. The design of the applications in MORTPAK as well as the program MATCH has its origins in the United States Census Bureau package, Computer Programs for Demographic Analysis (Arriaga, Anderson and Heligman, 1976). Version 4.3 is now available for free download. Click here to get the software. The MortPak manual is no longer available in printed form. It is made available here in electronic form in Adobe PDF format. Adopted from United Nations, New York, 2013.